The people of Nicaragua have long demonstrated a need for food, water and shelter, but following the horrible effects of Hurricane Mitch in 1998 and the 2014 Earthquake - each of which left thousands of people homeless, hopeless, and starving - ASC became aware of just how great the needs in this country were. 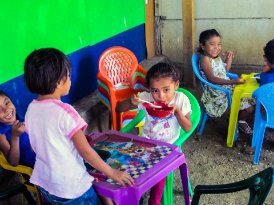 Since that time we have established partnerships with organizations in Nicaragua with whom we have developed one of ASC’s ongoing projects, a feeding program in the city of Las Brasiles, Nicaragua, which focuses on providing meals for desperately needy children. In the last few years, prices for staple foods needed to feed billions of people around the world rose to record levels. Prices for wheat, rice, and corn, rose more than 80%. Here in Nicaragua, these exorbitant costs are exacerbated by the price of fuel needed to transport food to the needy. And believe me: these children are needy. 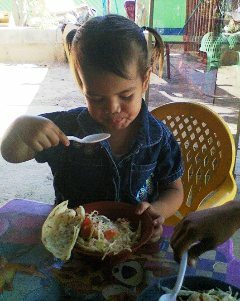 The severe lack of food is an ever present threat to the wellbeing of poor and needy families in Nicaragua. This forces many children from impoverished families to forgo school and, to instead, stand on street corners begging for money or offering to wash windows of cars stopped at traffic lights. One of the challenges in dealing with malnutrition is that it often does irreparable damage before the child’s body shows any effects. ASC’s mission is to do all we can to see to it that these children have enough nutritious food to keep their young bodies healthy. We are so thankful to our donors for helping us make a difference in the lives of children in Nicaragua and as long as there is a need - In Nicaragua and beyond - we will help in any way we can.